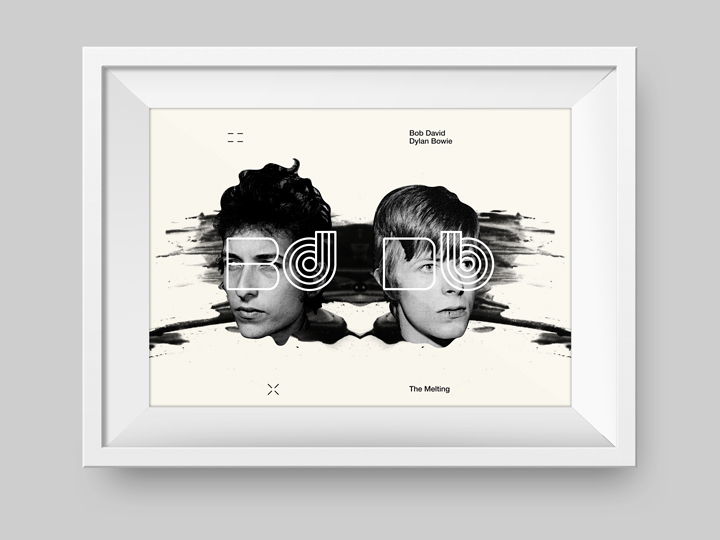 This experimental poster is a personal homage at two great musicians and artists of the 20th Century, Bob Dylan and David Bowie. I like them a lot, both. Of Dylan I like the most is his absolutely touching songwriting and his particular voice — dark as a cry of crows and powerful as the crawling of a concrete-mixer in motion. 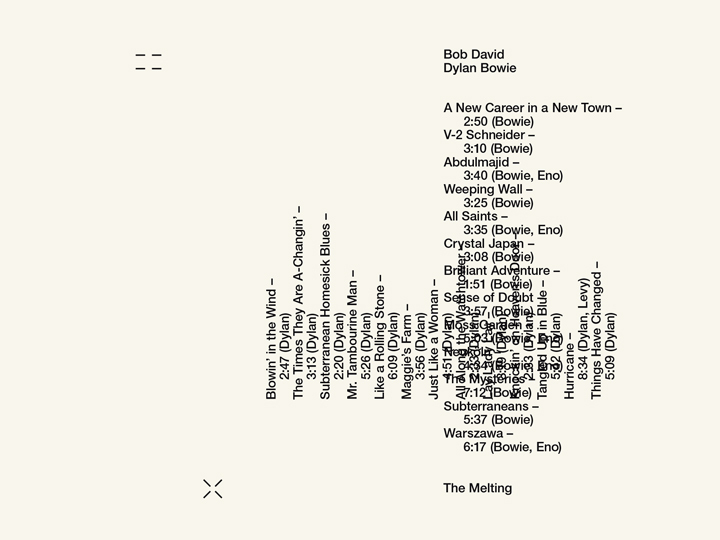 Of Bowie I like the most the eccentric (but perfectly produced) arrangments that he injects in all his songs, his transformations also in the sound trends, the details of his music. Through a horizontal poster (printed in a single copy for personal use) I tried to ‘melt’ these pecularities in a single ‘huge icon’, merging their faces in a joke of reflections mixed with a typographic play where the D’s and B’s of the artists’ names alternate themselves in a B-D-D-B game. 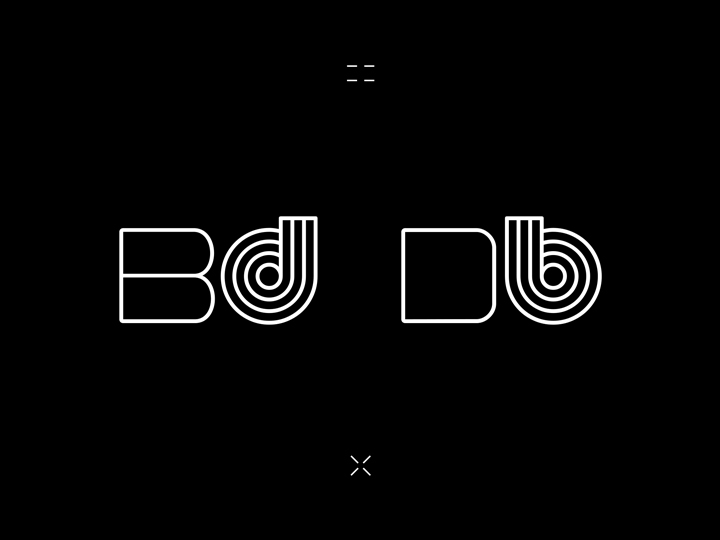 This ‘melting’ is showed typographically also by a hypothetic playlist of favourite songs by the two.